Although we’re still waiting on the House of Ideas to deliver on the hyperbole that said they’d “change the comic book industry” and whatever the hell the parameters of their Marvel Legacy initiative exactly are (right now, it’s sounding a lot like DC’s Rebirth mission statement from a year ago), there have been significant developments thus far. 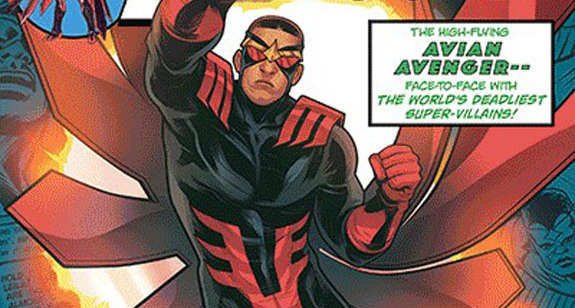 One in particular that caught our attention is that of Sam Wilson once again taking up the mantle of The Falcon. A few years back, Wilson stepped up when the world needed him most, taking Steve Rogers’ place as Captain America when the original simply wasn’t fit to continue. In the time since, the latter has taken up the mantle once again, effectively giving us two Caps with their own respective comic book series. But seeing as how the publisher is ditching subtitles and paring it down to one book later this summer, we probably should’ve seen this coming. That said, it should please staunch purists – or those among you that simply got attached to Sam in his original guise over the decades – that he will indeed take flight as the Falcon once more later this year. Yes, we know you’re about to say that Joaquin Torres adopted the name more recently, but it remains unclear if there’ll be two Falcons come fall or just one. Currently, it hasn’t been divulged as to whether The Falcon will be an ongoing, miniseries or one-shot, but, in the meantime, you’re free to feast your eyes on a sampling from Elizabeth Torque’s cover at the top and ponder the possibilities.